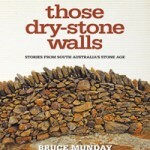 A rich history of dry stone wall construction in Australia is currently at risk. For a century or more many of these eminently practical and beautifully crafted forms have been neglected or removed for more intensive, more mechanised agriculture and expansion of urban development. Thousands of kilometres of walls will disappear or eventually crumble if nothing is done to conserve them. 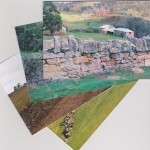 A Federally funded Visions of Australia project collaboration between farming communities, numerous councils, museums and parks and gardens bodies in 1999 was arguably the start of a surge of public interest in the art and preservation of dry stone walling. In 2013 and 2014 it toured an exhibition – A Stone Upon A Stone – throughout Victoria and NSW, that presented the colourful stories, histories, photographs, maps, artefacts and memorabilia, gathered from the many and wide ranging contributors to the research and narrative. The outcomes presented, as part of the exhibition gave rise to the Dry Stone Walls Association of Australia thanks to its curator and founding member, Raelene Marshall. 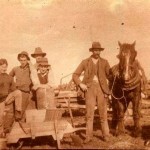 Unexpectedly and fortuitously during the research, the historian Dr Carlotta Kellaway uncovered evidence in files in the Public Records Office of the participation of indigenous people in the construction of walls on the Dashper properties Lake Condah. 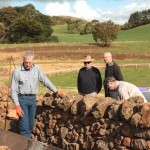 The craft is being practiced by a small but growing group of wallers finding work in restoration and construction of new walling, often in modern landscape settings. The benefits of dry stone walls in longevity, arresting grass fires, withstanding storms and providing shelter for stock are also better recognised by pastoralists. However governments at federal, state and local levels will need to be persuaded to do much more to conserve what is left of this remarkable and distinctive heritage. The picture across the country varies enormously and there is work to be done to gather more information and advocate for dry stone walls to receive the heritage protection they need. 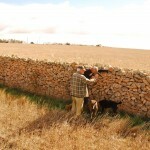 See other pages for conservation of dry stone walls nationally and at state levels.